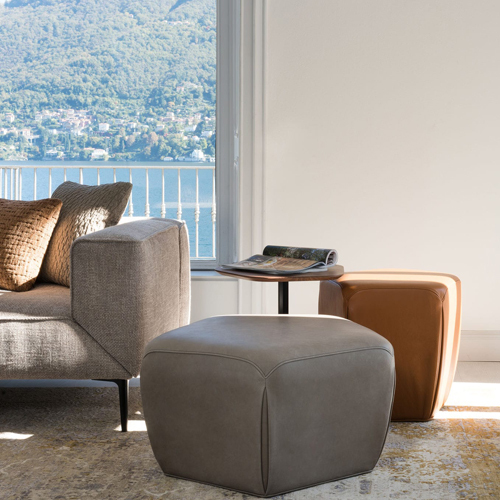 Pentagon in name and in essence: the 5-sided geometry dominates the design of the entire collection, which includes a pouf, a footrest, a small table and a storage box. 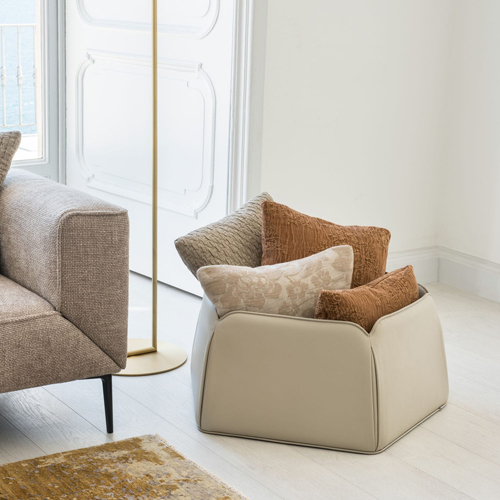 Curved lines with rounded corners make the aesthetic soft; furthermore the corners are enriched by cannon folds in the leather covering. 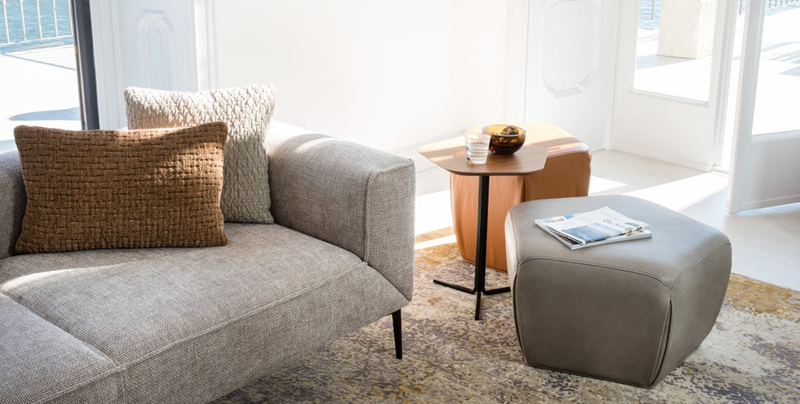 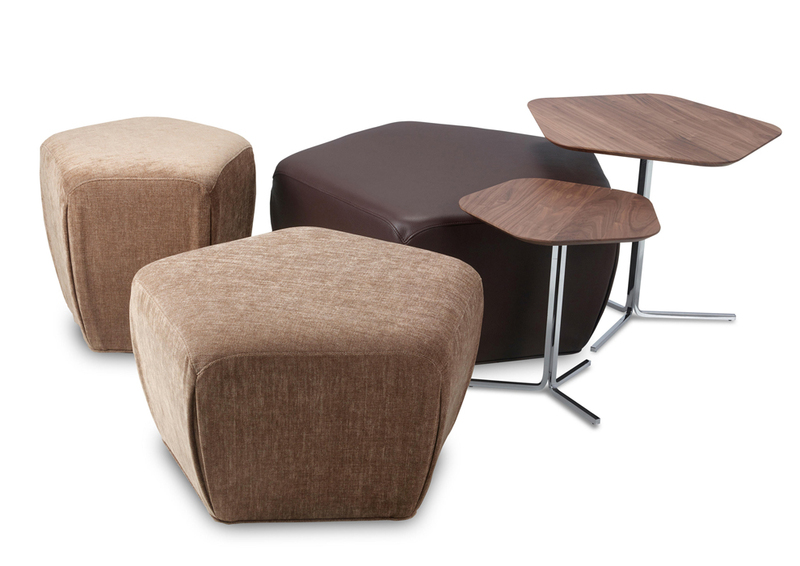 Pouf and footrest match the table with a walnut top, creating a perfect relaxation areas for living areas.